Hello Alorians and welcome to the 2019 April Community Awards! You can view the March Community Awards Result here. I'd be grateful if you could take a couple of minutes and vote for your nominations in the April Community awards! This thread will be up until 04/25, don't miss your chance to vote! 1) Guest Accounts will not have their votes counted! 2) You must fill out the entire template provided below. If you do not have anyone to vote for please leave it blank instead. 3) You may NOT vote for yourself. 4) You CANNOT vote for the same person more than 6 times. 5) Any troll posts will be removed and the poster will be infracted. 6) No buying/selling or asking for votes. Any breached rule will result in a disqualification. Bug fixes: Immortal donator fixes: Fixed Master donators being able to get the gray skin color. All players with the gray skin have been reset to red (Dragon), so Immortals simply need to go re-obtain it. This is to ensure nobody who doesn't have access to the skin color has it as of this update. Fixed Immortal donators' yell tag not having the shadow background if Immortal was not their main rank (eg. Ironman / Veteran rank). Skilling interface: Using keyboard to select option: You can now use your mouse keys (1-9) to select which item in the skilling interface you'd like to make. New skilling interface has been updated for: Gem cutting Cannonball smithing Fixed a bug which was not allowing you to use the Pestle and mortar on herblore ingredients. Miscellaneous: Group Ironman de-ironing now de-irons you to the Normal game mode (you will no longer be an Ironman). Fixed a problem with staff who are UIM accidentally being able to deposit items into the bank deposit box. 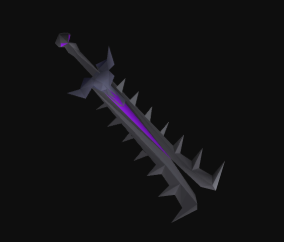 Fixed a bug which allowed you to cut amethyst while mining them. A new award has been added: Divine Supporter ~ awarded to players who have reached the Immortal donator rank. (Orange diamond) All current Immortal donators have been given this award. Any future players must apply for it. New emoticons added: (Thanks to @[member="Paine"] for helping to collect these!) Many new discord/twitch emoticons have been added to the forums and are now available to use! We even managed to throw in a few of the emoticons used on @[member="Lowkey"]'s streams. (Over 100 new emoticons in total) Examples: :4Head: :Yea: :Pog: :Poggers: :FeelsBadMan: … and many more! We hope you enjoy this update! :) Please report any bugs that you find immediately. 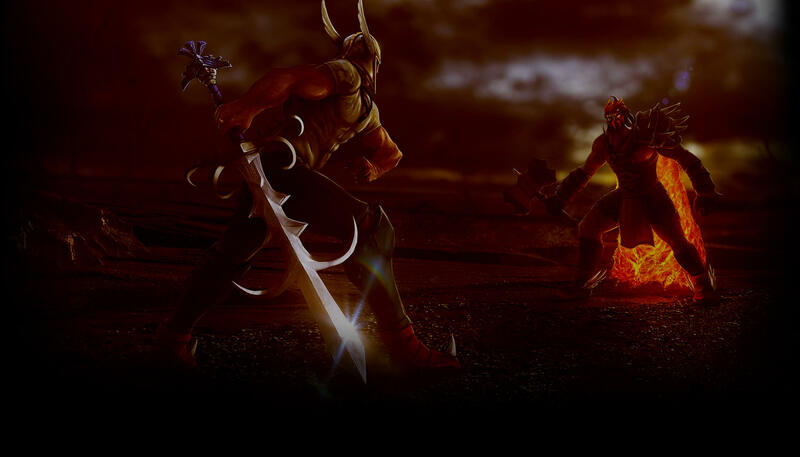 Hello and welcome to the Fourth edition of the Alora PVM cup! Due to its success in the past, the PvM Cup will remain in its traditional format. This time though, you won't be able to signup as a solo player. You will need to have a full team to participate (You can signup as a free agent, and I will put all the free agents together in teams of 5). 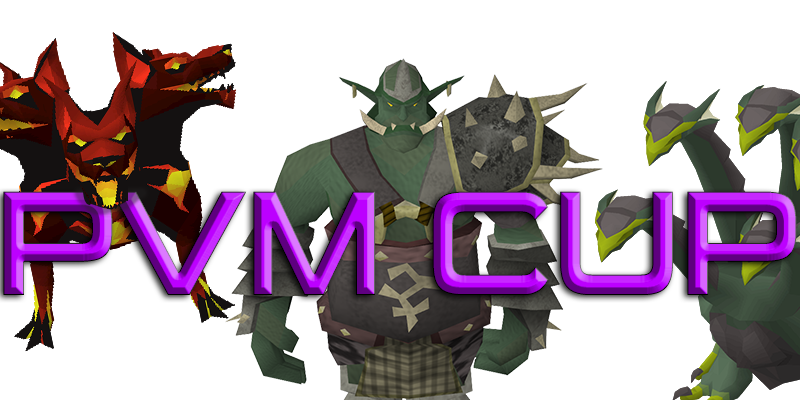 The PVM Cup is a Major event where players will form teams composed of 5 players to try and outlast each other in multiple waves composed of all kinds of bosses. There are a few rules to it though. Let's take a look! Players that sign up as free agents can be recruited by teams if that's the case please contact me so that I can remove them from the free agent list. Players that don't get recruited will be put together in random teams of 5 prior to the tournaments start. Blz is on a killstreak of 6 and can be shut down for 12% bonus PKP! YogurtKid13 has reached level 99 in Attack! Mob is on a killstreak of 10 and can be shut down for 20% bonus PKP! Mob is on a killstreak of 9 and can be shut down for 18% bonus PKP! Unknown 8 has reached level 99 in Firemaking! ALPON RUSKEE has reached level 99 in Attack! Mxjoshua5 has reached level 99 in Attack! pet at 2.4m Woodcutting XP! xIcex has reached level 99 in Fishing! pet at 54.3m Fishing XP! pet at 1.9m Mining XP! Trub has reached level 99 in Runecrafting!